This monitored detector triggers an alarm when smoke is detected, notifying you and our central station. 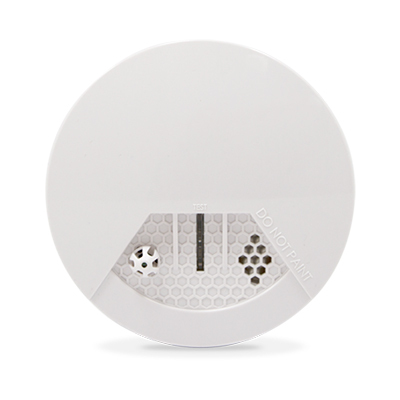 Replace the existing smoke detectors in your home with this monitored variety. In the event it is triggered and you’re not home you’ll be notified immediately. According to building code, smoke alarms must be installed in each dwelling unit and in each sleeping area within a dwelling unit. Hallways connected to bedrooms must also have an alarm on or near the ceiling. In addition to these specific areas—each storey—including the basement must have an alarm installed. Every second counts when it comes to house fires. This monitored detector has built-in photoelectric sensors for faster and more accurate detection. They are also less likely to trigger false alarms when you’re cooking.